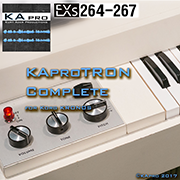 KApro has just released one new EXs library set, “KAproTRON Complete”. It is dedicated to some very well-known tape instruments. It consists of four EXs titles - 264, 265, 266 and 267 (not available separately). 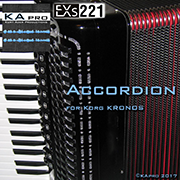 KApro has also updated their EXs221 “Accordion” sample library. 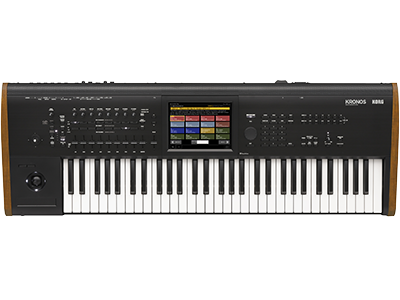 This update includes revised programs and multi-samples. To update a previous installation, simply download the new EXs data and re-install as you would normally. Existing authorization codes will continue to be valid. Kid Nepro has just released a new value bundle package. 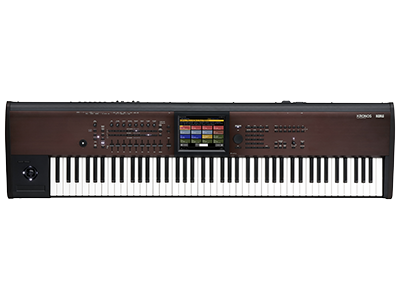 Get the complete package of Vintage Synths 1, 2 & 3, Soundtrack Mix, Hit Factory, Sonix Bliss, Dark Energy, Electric Guitars 1 & 2, Wave Machine, Analog Sensation, EXi Super Synths, Electric Pianos and Classic Rock at special low pricing, $399 for a $742 value! 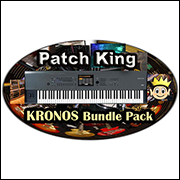 Home News New KRONOS Sound Libraries: one new and one updated libraries from KApro, and a new bundle package from Kid Nepro.